I am super excited to be joining Joanne at Head Over Heels for Teaching for her brand **sparkly** new linky - Spark Student Motivation Saturdays. The idea is to share tips and tricks to keep students (and ourselves!) motivated!! The classroom behaviour management system I use is a classroom economy. I have used variations of the classroom economy for the last 10 years or so but I love the way I have it set up now. 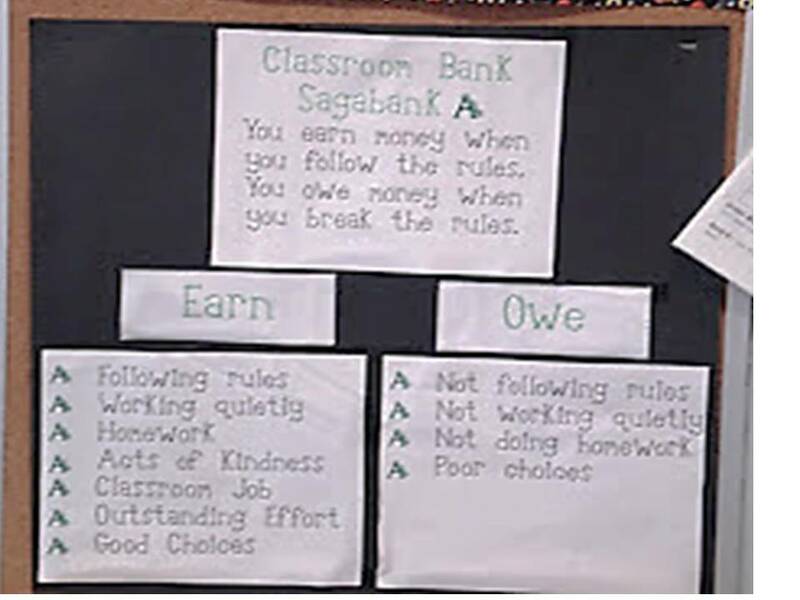 When I first started out I made classroom money - page after page of classroom money - that I would hand-out for good behaviour or take back for misbehaviour. Then students would cash in their money at a class store (class coupons and dollar store items). This system used a lot of paper, both for me to have and for the students to keep in their desk. Then I read this post from the amazing Beth Newingham about her classroom economy. I loved a lot of what she did in her class (well I love everything she does!). So I switched over to logs and I started paying my students for classroom jobs and calculating things but it was more of a time investment than I wanted to commit to. That is when I came up with my current system. We use bank books. Yes bank books from the bank, the kind you put in the ATM to update, the kind you put in the little plastic sleeve. So on the first day of school each student gets their very own classroom bank book. It has a label on the front cover with their name on it and a fake school bank name and watermark logo. On the bank is a label with our class bank codes. 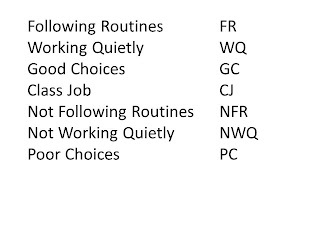 I decide what I will pay money for and what they will owe money for and make up codes (Following Routines - FR, Working Quietly, WQ, Good Choices - GC etc.). I also display this information in the classroom (blurry photo taken from earlier blog post). I must admit that I rarely take money away from students - I find I can control most negative behaviour (the minor stuff - talking too much, off-task, not helping out ) by handing out money to others who are demonstrating positive behaviour. 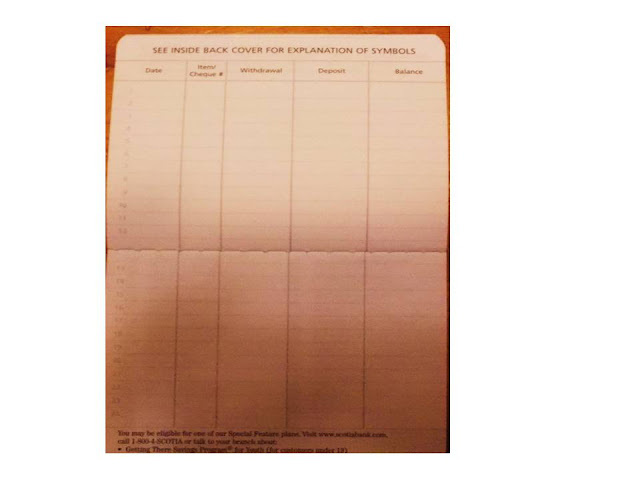 So I will say "Joe give yourself $10 for working quietly" and Joe takes out his bank book (kept in basket in desk with pencils, highlighters, erasers, glue) and writes the date, the code in the item column (WQ), the deposit (10.00) and the new balance. I usually use multiples of 10 for ease of adding (some kiddos still struggle when they get to 290.00 and they earned 20 more) but you could do any amount that you wanted them to practice adding by (I have done 15 and 25). Once a month (well not really once a month - I do Sept, Oct, Dec, Jan, March, May and June) I have a classroom store. I buy items at the dollar store (fun pens, pencils, notebooks, bouncy balls, seasonal items) and class coupons (lunch with a friend, recess in the gym) and I buy books from Scholastic with bonus money. We start with expensive items - I put them out on a table. All items will be $200 or whatever I decide. We do a few rounds of shopping - I debit their account for each purchase. Then we move on to less expensive items (pencils, erasers, pencil grips) and we do a few rounds of that. My favourite part of the classroom economy is having the kids use their classroom money to buy their Secret Elf Pal a gift in December. Sorry for the super long post! Be sure to head over and link up to share how you motivate your students! I really LOVE your banking system. It's the perfect reward system and the best part of it is how the students are learning real-life economics! I've sat in on a workshop with a teacher who did something similar, but she called them paychecks, and her students did not learn so much about the economy. 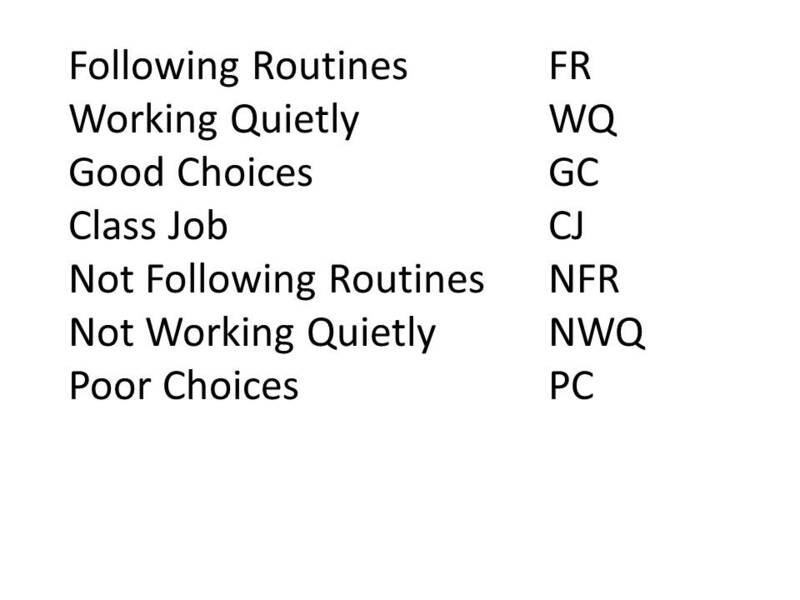 If I ever teach elementary again, I'll be looking to implement a similar system! OMG! I love the idea of the gift for the Secret Elf Pal! That is so awesome and right my alley! It warms my heart when my students do nice things for each other! I also love the paperless economy system! Such a detailed and clear post-I appreciate you sharing! Thanks for linking up to my first party! I love the secret elf pal idea too!! Thank you for such a detailed post. I did something similar to this for years but did not call it a checkbook and let them trade in "points" at the end of any school day. I love the idea of having a classroom store day. Actually, I just made some "owl pellets...aka fake money" over break and copied off some sheets and then decided to not use it! After much debating, I just decided that I don't want the hassle of handing out all that paper. So, now I think I am going to try classdojo to keep track of points after break but am nervous about how it will go! I hope I can find my ideal system soon too! I use ClassDojo for my points system and I love it! That way I can always keep track of what students earned. I highlighted it in my linky post. Stop by and check it our if you have time. That sounds like a great system. I am a huge fan of Beth Newingham too! I like how you are sneaking a little Math in their too. I also like seeing that your awards are not snacks and candy. We are really trying to move away from that as a district, and I love seeing other ideas to use instead! I love this idea! I think it's a great way to help students practice their addition also! I may definitely try this with next years students!! I'm also your newest follower !! I love the idea of the bank books. Does your local bank donate them or do you make them yourself? What do you do if a student loses theirs? Currently I just give them a quarterly "money log" and about 20% of them lose theirs throughout the quarter. 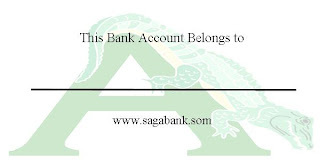 I get the bank books from my bank and add labels that I make using Avery labels. I have not had too many students lose their books - they are very interested in keeping them safe. I do have some extra books and a rough idea of how much money kids have earned.I like your system too! Bookmarking this for next year. I teach second grade and I do a classroom economy for three weeks during our unit on working for wants and needs. I have a simple credit/debit sheet and just make tallies in the $1, $5 or $10 section. On Friday they add it up and if their math is correct, they earn a $5 bonus. I have little 'treasures' of my own, but always tell parents little donations of Happy Meal toys, leftover party favors, etc. are welcome!